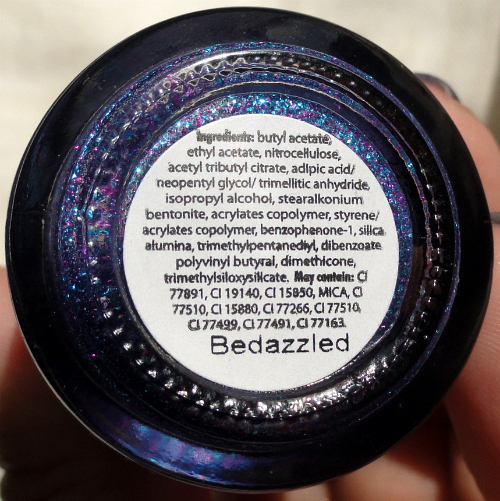 Bedazzled is a purple and pink and blue glitter concoction suspended in a clear polish. It's not something I would normally go for but I really like how these colors work together. This is three coats and no topcoat. 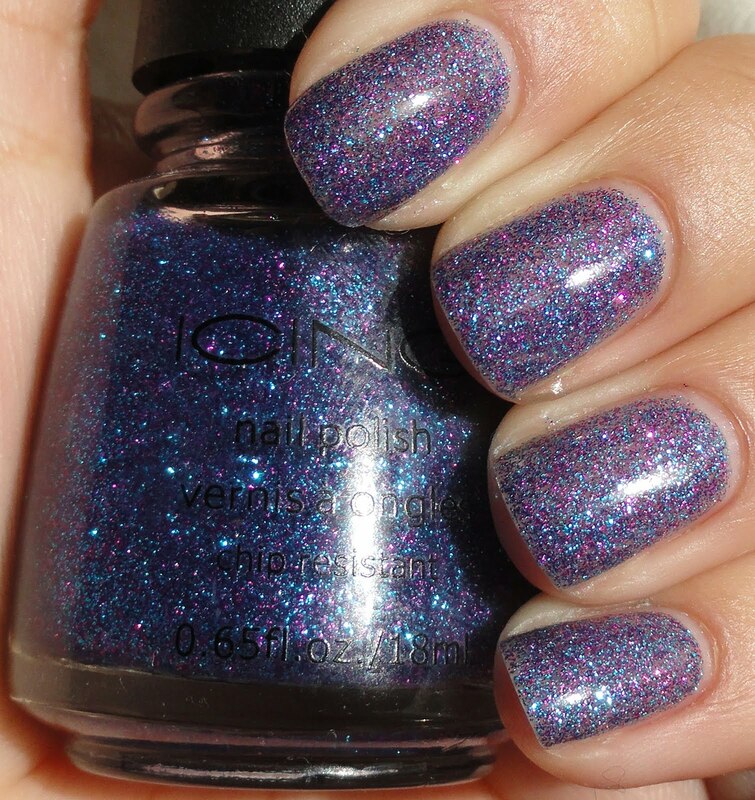 Very nice shine and surprisingly non-gritty for a straight-glitter polish, très impressive! I like the Icing brush (very China Glaze-esque) and its big ol' bottle is nice and hefty. Plus Icing has the forever promo of "Buy 1 get 1 50% Off" for their beauty products, so I normally peruse their stuff whenever I go to the mall. What do you think of this guy?